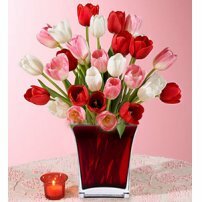 Share this beautiful arrangement to tell that special person how much you really care. 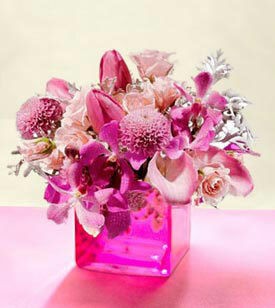 Graceful and elegant, this arrangement is sent in a glass vase. 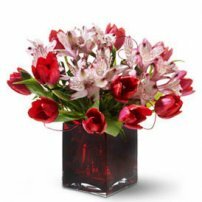 Arrangement of roses, tulips, lilies and chrysanthemums in a glass vase. 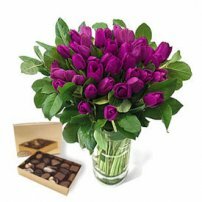 Approximately 10” W. x 10” H.
Our roses are colorful, vivid and fresh, designed by professional florists for every occasion. Images serve as a reference. 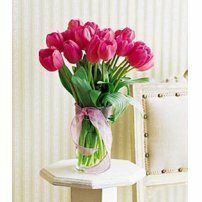 The vases, accessories, flowers and colors can be modified maintaining the high quality we are known for.